How many times have you been surprised with how good the food was at a restaurant? Or on the flip side how many times have you visited a food service business as a customer and been disappointed? What was it about that restaurant that set your expectations on either end of the spectrum? Usually, it comes down to branding. For those of us who are “workers” and don’t have time for branding and nonsense like social media and other funny games like this, it’s time we take notice what drives customer traffic and “speaks” to the people who either spend money in our restaurant or decide not to…..you know, the important folks. Your brand should be well-thought, deep and introspective, it should resonate with the people you want it to speak to and say the things you want it to say. So what does this mean to me the restaurant owner who is trying to get people to come eat my food? First, take some time to define your brand. There are countless resources and really smart, creative people who are willing to help for a reasonable investment. There are websites you can go to where you have access to hundreds of designers and smart people willing to provide services for only a few dollars. Start with the name of your food service operation and put some effort into creating something meaningful. Don’t hesitate to get help and certainly have other people involved in confirming that your idea is on track. I usually recommend stay away from names that are descriptors. Us not so creative people tend to name things after what they actually are – not always the best way to create a brand. (Example: Delicious Hot Dog Restaurant). If you think of the best brands in the world, they generally have a name that didn’t mean much by itself, but over time defines the market they are in – Nike, Google, Apple, etc. Whatever name you end up with, take a moment and search the United States Patent and Trademark Office to see if the name is available on the federal trademark registry. Franchise Marketing Systems helps people franchise their businesses and many times, expansion models are derailed because a business never checked if they could get the federal trademark and run into problems obtaining the marks before they are able to expand the brand. Next, you need to get a logo or service mark. I would generally say that you are not allowed to use your name in Times New Roman font and say that this is your logo, that’s just not a logo. Again, a lot of resources to put a design together and create something that goes with your brand and your theme. Again, think about other brands, simple is generally better. Envision your logo on shirts, hats, pens and other marketing apparel, if it is too busy it just won’t work. Great logos take time and commitment to create. The color scheme needs to be considered next – good brands have consistent colors and looks to go with their brand. These things that maybe don’t seem important to us “workers” who just want to work hard and serve good food to people so they can pay for it are actually of enormous importance and will impact everything we are working so hard to accomplish. You could compare it to an engine in a race car working as hard as possible to push the car forward and no one bothered to put wheels on the vehicle. Good brands like McDonald’s or Chipotle have a color scheme that goes with their look, feel and overall image. They are consistent and create a feeling in a customer when they walk into the restaurant. The look, layout and feel of the restaurant then need to be conducive to your brand and should go in line with the overall image and experience you are trying to create for the customer. Now let’s go back to our question, think about the restaurants you have walked into as a customer and what your expectation was before you ate. Generally, that expectation was set by the establishment’s brand or lack thereof. If there is a sign that says “Chinese Food” on the front of the building and an entry way that feels like your grandparents basement, you probably will not be excited to spend your money for food there. On the other hand, if the food service business gets branding and messaging with professional, consistent imagery and a presentation that says the right things, you are more willing to spend money and go back for more. Maybe the best part of branding is that it has equity to it. Once you invest the time, money and effort into your brand and you nail it down, customers will keep coming back for more business because they come to trust and feel confident in your brand. Great branding takes time, money and lots of patience, but it is well worth the wait and will pay dividends for years or decades to come. 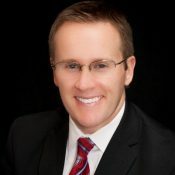 Christopher Conner is the President of Franchise Marketing Systems, a U.S. based franchise development and consulting business. Conner’s work has been across a variety of industries and business segments, but he has had extensive experience supporting growth and expansion for food service and restaurant brands globally.